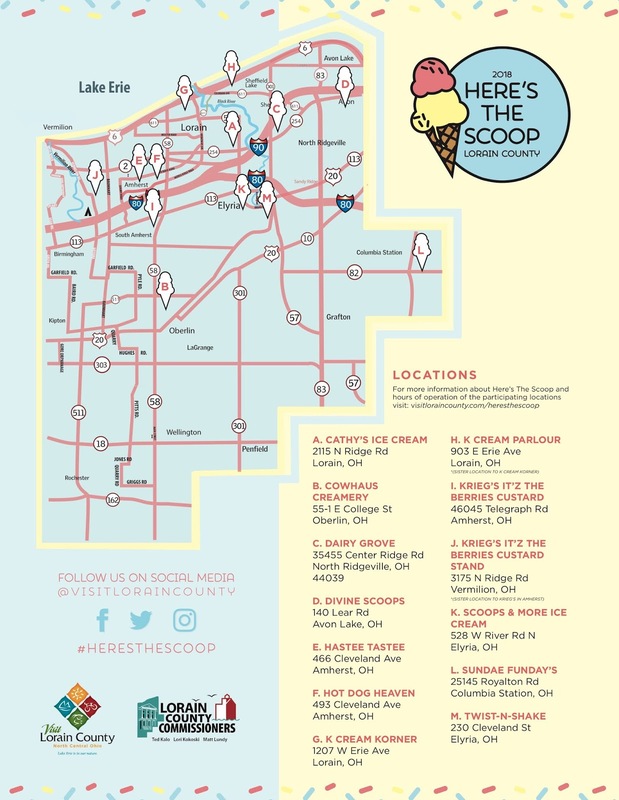 Here’s the Scoop Ice Cream Trail 2018 runs from June 1st to Sept. 3th. It includes 13 of the best ice cream shops and stands in Lorain County. It is super simple to join. Just stop by the Visit Lorain County Visitors Center, Cowhaus Creamery, Divine Scoops, Hot Dog Heaven, Krieg’s Strawberry Farm & Market, or Sundae Funday’s, during regular business hours to receive your lanyard and passport. The cost to participate is only $1 a person. Then you start the trail at any of the 13 spots. You will receive a 25¢ discount on any ice cream product you purchase and get your passport stamped. Told you it was super easy, and yummy!! You can take as long as you want to complete it as long as you finish by September 3rd. 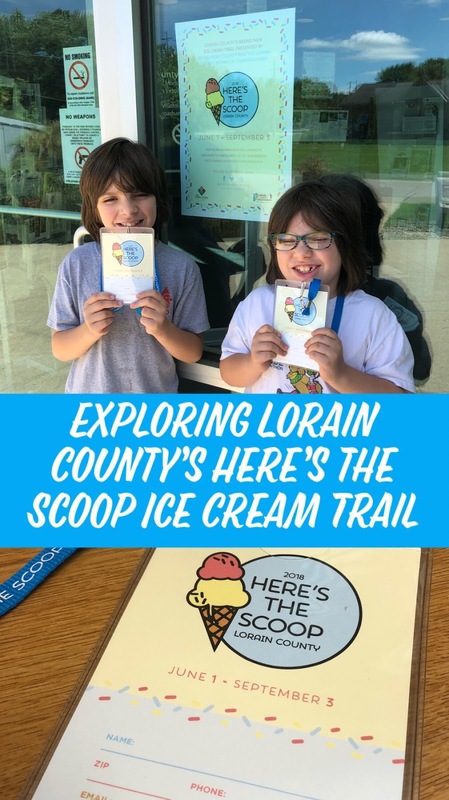 When you finish, return to Visit Lorain County with completed passport and you will receive a ice cream trail pin and be entered to win a chance at free ice cream for a year! The Here's the Scoop Ice Cream Trail is so much fun. I hope you have been following us on Instagram and have seen our first three stops. You can check out our stories and posts. We have created a #HERESTHESCOOP Highlight. So far we have made it to Hot Dog Heaven, Cowhaus Creamery and Dairy Grove (where I got to have a little taste of Disney with a Pineapple/Coconut swirl Dole Whip!) Where to next? Time will only tell and our stomachs will be leading the way! We hope you continue to follow along with us and maybe start the Lorain County's Here's the Scoop Ice Cream Trail yourself. There's still plenty of time left! 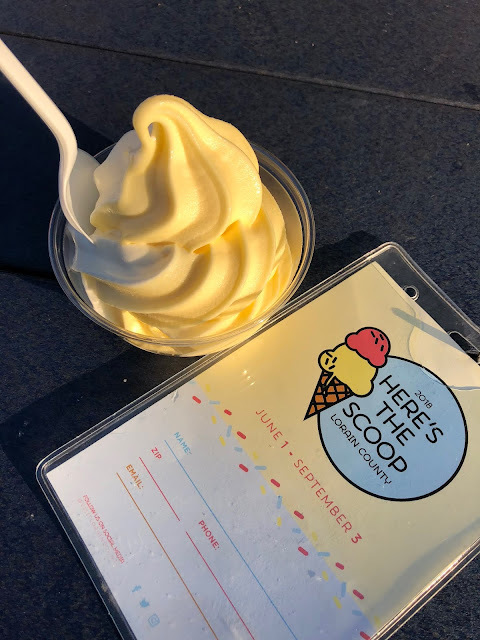 And if you are on the trail make sure you are sharing the fun by posting a photo on Facebook or Instagram using #heresthescoop #locoeats so we can all see it! Would you like more family fun activities, travel ideas, projects, recipes and more? Check out and follow Midwest Family Food and Fun on Facebook, Twitter, Instagram, Pinterest, Google+, YouTube and Bloglovin'!